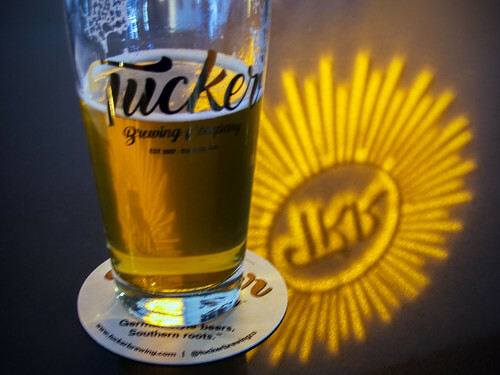 The yellow sunburst next to the beer is a reflection of the brewery's logo affixed on the wall behind the bar. It's reversed and upside-down from its actual order of "TKR," designating, of course, Tucker. "What is so rare a day in June? Then, if ever, come perfect days" is a poem by 19th-century American poet and abolitionist, James Russell Lowell.